Mica sheets - Borosilicate and quartz glass, mica, sealing, level gauges, armature - Continental Trade. Mica block has been classified according to various criteria such as the size of the plates, thickness, purity or transparency mica. The classification rules are described here. With plates of mica are made pads, caps, windows, disk drives, and various other elements of electricity or thermal insulation. Residue remaining after the mica block selecting is waste - scrap of mica, used as a raw material for the production of flakes, powders (grounded mica), pigments and other insulating materials based on mica (micanite). 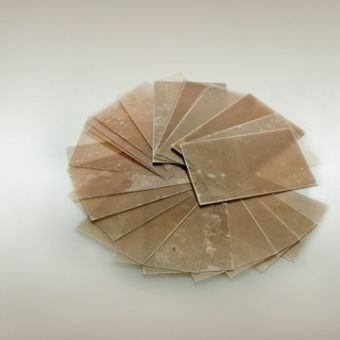 Mica sheets are available in a wide range of size (see here). Mica plates are also available in customized sizes, cut according to specifications required by our clients. We employ a team of highly skilled technicians who manually grade and cut the mica blocks to ensure zero-defects in the finished product. 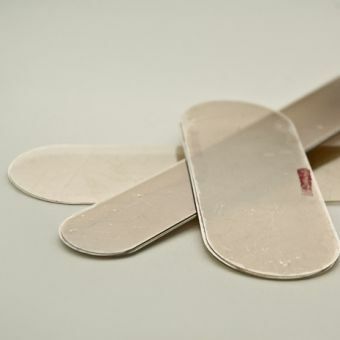 Natural mica sheets are evaluated by size and by value. 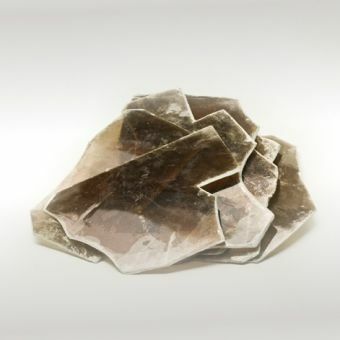 Mica is a natural mineral - obtaining large sheets without impurities is difficult and expensive. The presented ruler allows a quick assessment of the sheet size. Given also the principle of classification by the quality of the raw material (V1 - V10). 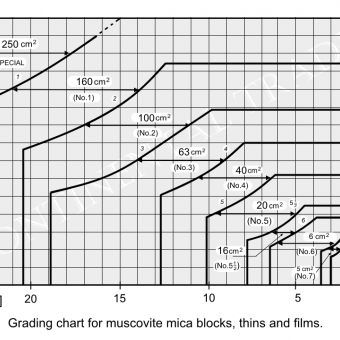 Mica sheets (blocks, plates) of irregular shapes, different sizes, thicknesses and different quality grades V1 - V10. Top quality (V1) collectable mica. Mica is transparent and fire resistant. It is used as windows in stoves and fireplaces. It gives you an unforgettable, stunning visual effects. Sometimes used for artistic purposes. Mica shields protect the sight and gauge glasses against the harmful effects of hot water and steam. Mica shields protect the sight glass from erosion and tarnishing. Only for transparent sight glass (not for reflex sight glass). 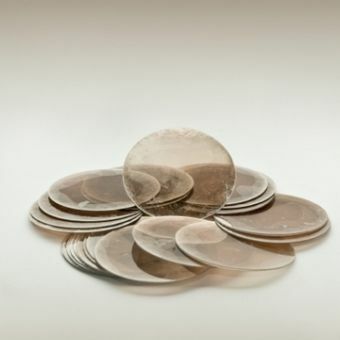 Mica disks protects round sight glasses against destructive effects of steam, hot water, acids and alkaline. They are made of high quality muscovite mica.